Some things just make breakfast extra-special. Really good coffee is one of them, and an hour or so of peace and quiet in the morning sunshine – rare though it is – is definitely another. Genuine maple syrup is right up there as well, especially if your weekend isn't complete without having pancakes or waffles at least once. You can stretch that lazy weekend feeling into the rest of the week by incorporating maple flavoring into your favorite baked goods, as well. Real maple isn't the most convenient ingredient for baking, but natural maple extract and imitation maple flavoring work pretty well. Natural flavor extracts are almost always made by infusing the main ingredient into alcohol. 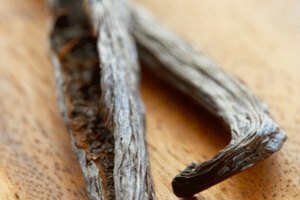 You can make your own natural vanilla extract at home, for example, by steeping vanilla beans in vodka. 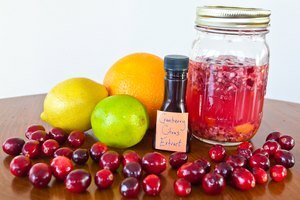 Alcohol is a nearly universal base for extracts, because it's an excellent solvent that's inexpensive to produce in bulk. 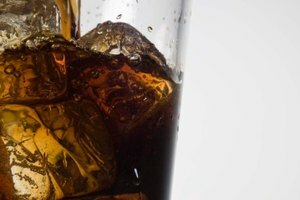 In the case of natural maple extract, it's usually made by infusing a liquid – concentrated maple syrup, in this instance – into the alcohol, instead of a solid ingredient. Some brands claim to infuse parts of the actual maple tree, as well. The alcohol is then separated back out, bringing the maple flavor with it. Most brands add some caramel color, as well, to make it look more "maple-ish." Imitation maple flavors are a bit different, and they can come from a number of sources. For example, one process dating back to the 1940s calls for directly manipulating the amino acids in sugars to create maple-like flavors. That's the kind of process that gets listed on the bottle as "artificial flavor." A more common source, though, is a seed called fenugreek that's widely used in Indian cookery. It contains a flavoring ingredient called sotalone, which tastes and smells surprisingly like maple when used in low concentrations. Fenugreek is an existing food crop that's easy to grow and process, so it's a safe and relatively low-cost ingredient for manufacturers. You'd see this listed on the bottle as a "natural flavor," even though it's entirely unrelated to maple. 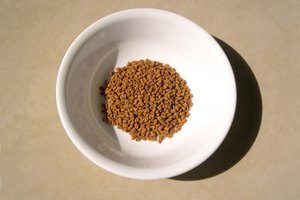 Other plant sources can be used for maple flavors as well, but fenugreek is the most common. The whole idea of using a maple extract, whether it's natural or imitation, is to get a bigger punch of maple flavor than you could manage with real maple. The syrup you buy for table use has a relatively mild flavor, especially if it's the lighter "A" grade, and it won't lend a really distinct maple flavor to most of your baked goods unless you pour it with a heavy hand. You can sometimes do that in a coffee cake or a muffin, but it certainly doesn't work in cookies. 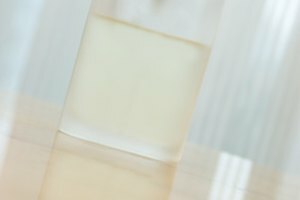 With extracts, you can add just a spoonful to the recipe instead, and not have to adapt the recipe to work with a large quantity of liquid sweetener. If you're up for a tasty DIY project, you can even make your own imitation maple extract at home. You'll need about two parts vodka to one part fenugreek seeds. First, toast the fenugreek seeds in a dry skillet until they're aromatic, which takes 5 to 10 minutes at low-to-medium heat. Pulse the seeds in a spice grinder or food processor to break them up a little bit, then transfer them to a Mason jar. Warm the vodka and pour it over the seeds, seal the jar, and it'll be ready in six weeks or so. If you're in a hurry, process the jar with the seeds and vodka for a half-hour in a pressure cooker instead. The extract will be usable as soon as it's cooled enough to handle. Michigan State University Libraries Archive: What is Mapleine?